A new console rival is set to join the pack being led by Sony, Microsoft and Nintendo. That’s the news being shared this month, following a shock reveal that many didn’t see coming. Going into 2019, many gamers are hoping for news regarding the next-generation of devices. But many probably weren’t expecting one of the first new consoles to be announced by Slightly Mad Studios. It has now been confirmed that the company are looking to launch a new console to rival PlayStation, Microsoft and Nintendo in the future. It’s currently being called the “Mad Box” and will offer a few tricks up its sleeve. According to SMS CEO Ian Bell, the new console will support virtual reality and boast some competitive specs when it hits the market. A tweet posted to the official Slightly Mad Studios Twitter page reads: “What is the Mad Box? It’s the most powerful console ever built… It’s literally ‘Mad’… You want 4k; you want VR at 60FPS? Further details were shared with Variety, with Bell adding: “We have multiple investors already offering the required funding for us to see the product to completion, but it’s still early days, and we’re looking at the best offers right now. “Prices will drop with ship quantity, but we’re not planning on taking as large a cut as other console owners to enable us to cut prices massively. Bell added: “We think the industry is a little too much of a monopoly or a micro oligopoly. New designs of the Mad Box were recently shared by SMS, having seen many variants posted online from the public. Bell warned after sharing the new images that this new design may be amended over time but should keep a similar look. 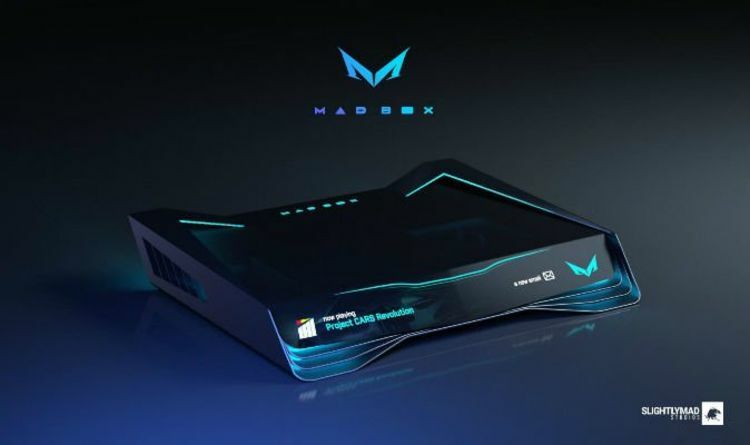 If the Mad Box does indeed release in three years time, it will mean it hitting the market following the launch of the PS5 and next Xbox console. While neither Sony or Microsoft have announced release dates for their new gaming machines, it seems almost certain that they will hit shelves before 2022.